Yes. 2010 Georgia Statutes Section 3-3-27(b) provides that “Any apparatus, article, or other tangible personal property used in the unlawful distillation, manufacture, or making of any alcoholic beverages is declared contraband and shall be destroyed by the officers or agents seizing the property or otherwise disposed of as the commissioner directs”. Therefore this statute requires that the equipment be used for illegal alcohol production to be illegal. What is charge (felony, misdemeanor, etc.) Felony. 2010 Georgia Statutes Section 3-3-27(c)(1). What is maximum fine? The statute does not give mention a fine. What is maximum jail time? 1-5 years imprisonment. Can still be seized? Yes. 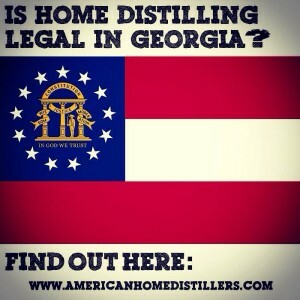 2010 Georgia Statutes Section 3-3-27(b) provides that “Any apparatus, article, or other tangible personal property used in the unlawful distillation, manufacture, or making of any alcoholic beverages is declared contraband and shall be destroyed by the officers or agents seizing the property or otherwise disposed of as the commissioner directs”. What is maximum jail time? 12 months. 2010 Georgia Statue Section 17-10-3(a)(2). Can property be seized? Yes. 2010 Georgia Statutes Section 3-3-27(b) provides that “Any apparatus, article, or other tangible personal property used in the unlawful distillation, manufacture, or making of any alcoholic beverages is declared contraband and shall be destroyed by the officers or agents seizing the property or otherwise disposed of as the commissioner directs”. Can additional property be seized? 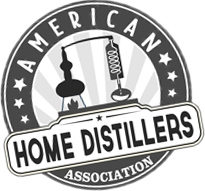 The statute would seem to be limited to everything used to manufacture alcohol. What is charge (felony, misdemeanor, etc.) Misdemeanor. 2010 Georgia Statutes Section 3-3-27(c)(2). Is a fuel alcohol permit available? No. Ethanol and alternative fuel production is allowed and encouraged, but no specific License or Permit is required. Permits that may be required, depending on the location, size and circumstances, include water discharge, waste water and air quality. There are, however, various proposals being discussed in the alternative fuel area that could result in some type of specific production License of Permit being required at any time.